Given that Samsung is currently the world’s leading smartphone manufacturer with a reputation for designing highly creative and stylish phones that are quite pricey, getting cheap Samsung phones may sound like a mirage. However, with a bit of patience you can actually reduce the dent in your pocket and save yourself a few thousand bob when making a purchase. 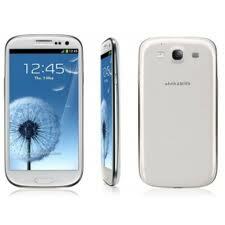 The only way to get a cheap Samsung phone is to avoid purchasing the same from a Kenyan dealer. This can be achieved by making an online purchase. Most Kenyan dealers purchase phones abroad, specifically Dubai and China. You can purchase your phone directly from a trader or manufacturer abroad. Visit any of the numerous online ecommerce websites such as Amazon.com or Newegg.com. You will need credit card or debit card to make online payments or a PayPal account. Find out how to get one in Kenya by reading our article on Paypal debit cards. Browse the phone categories and make your selection. Perform a price comparison by checking the local websites of Kenyan phone dealers or browse olx.co.ke. Many of these international ecommerce sites also have excellent deals on used phones. Confirm that your selected product can be shipped to Kenya as not all items are shipped internationally. Check out, make payment and wait for your package to arrive via Posta or courier depending on your shipping choice upon checkout. In most cases, you should be able to track your package online. Once you confirm its arrival, visit Posta at Haile Selassie or the courier company (DHL, FedEx etc.) and collect your package. Expect to pay VAT tax of 16% upon collection since mobile phones are no longer zero-rated. Make sure the phone is an International version and unlocked otherwise it may not work in Kenya i.e. it will accept a sim card from any mobile carrier. Opting for courier delivery is safer but it will also cost you much more. Amazon charges $39 for courier delivery and $6.99 for normal delivery via Posta.